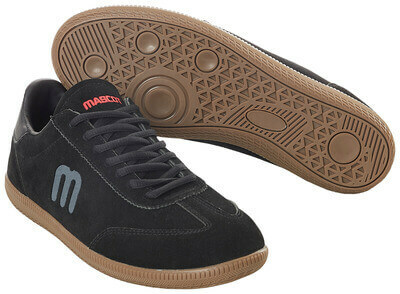 MASCOT manufactures a broad range of high quality workwear and safety footwear. It doesn’t matter whether you are a retailer or a purchaser for a large company, MASCOT is always ready to give you a helping hand and answer your questions. Learn more about workwear, safety footwear, accessories and services as well as smart ordering options. You can find great workwear, safety shoes or accessories in MASCOT’s wide assortment. In many years, MASCOT has delivered safety clothing, footwear and workwear to diverse professions and companies. Our assortment addresses the professional craftsman and people working within service, transport and the industry sector. With the right workwear from MASCOT, you can feel comfortable in your job. The quality is important for MASCOT, and because hereof we only uses good fabrics from among others TENCEL®, COOLMAX®, CORDURA® etc. Experience our wide selection of workwear, safety workwear, safety footwear and accessories. MASCOT offers the best products with focus on comfort, fit, quality and design. We produce our products from the slogan Tested to work. You will not find a pair of trousers, a jacket, a pair of safety shoes or other products, which have not been tested several times. We test in the laboratory, send products to be tested by the end-users, perform quality controls and much more when we choose fabrics for our workwear and safety workwear. Right away, you can feel that MASCOT’s workwear, safety workwear and safety shoes are Tested to work. You will always be met with professional advice, so you can get workwear, safety footwear, services and/or a customised clothing solution that meets your requirements exactly.